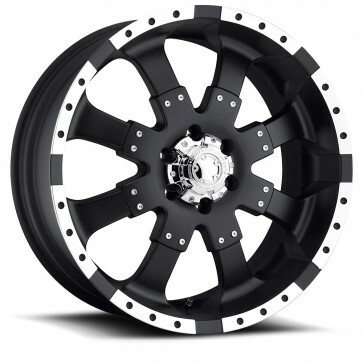 The 223/224 Goliath Truck Wheel from Ultra Motorsports. 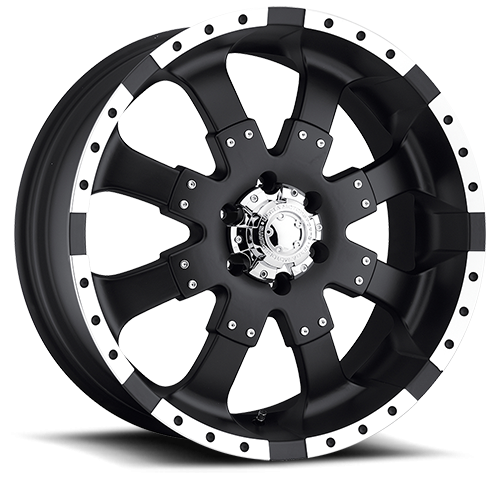 Availble in Matte Black with Diamond Cut Accents. Size is 17x8. For Over 30 years, Ultra Wheel Company has been the Leader in producing the most precise, durable and unique wheels in the Industry. Championship Caliber Wheels. Race Tested….Championship Proven.